Everyone wants a user friendly website design in order to attract and impress more users and visitors. An attractive and great design can really create a huge difference between a potential customer and a lost lead. Even though website designs are made with perfection now but still there is a chance of more improvement as it is easy to imitate good design principles but it is not a surety that you will come up with the design that will attract and satisfy your target audience. PSFK is a perfect source of inspiration from where you can get perfect website designs for brands and businesses. When you cruise through this site you get lots of ideas which you can implement to get a perfect website design for you. 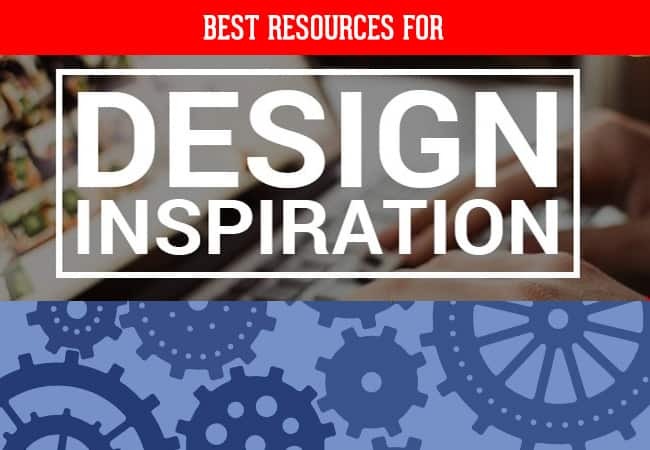 This website is a great resource for getting the perfect design inspiration. It always keep its content up to date and comes on top when you talk about latesttrends. You can get great ideas from this place for your website or blog. Pinterest is the place which gives ability for the creation of different types of design inspiration. You can easily get lot of ideas from this place and can see the perfect attributes for your inspiration to give yourself a perfect web design. It is renowned resource for testing your successful ideas and to generate the results about the changes which you need to make in your design to make it more appealing. Squarespace is a platform which helps you in making your own web design and it can also help you in getting an inspirational idea. You need to go through this resource and you will come up with exciting ideas to go for a perfect website design. It is the place where you can get some extraordinary designs for your website. If you are an entrepreneur and looking for a perfect website design idea then you need to go for this resource as it can help you in getting an inspirational idea for your website design. Dribbble is used by many people for design inspiration. It is the resource which offers daily newsletters and they keep their users up to date with inspirational blog posts. FWA (Favorite Website Award) offers amazing and creative websites designs on daily basis. This place lets you get inspiration for web and mobile perfectly. Behance is the place which offers the great opportunity to creative people for highlighting their best work. If you go to this place then you get perfect opportunity to connect with individuals and see their work. You can also get many inspirational ideas by interacting with other people. You need to make sure that you keep visiting your favorite brands and websites which you admire the most. Ecigsopedia is a great website which has wonderful design and you can look for its design and can implement one for yourself in your next website as well. When you visit your favorite website then don’t forget to take note of the design of that website. You need to pull the best attributes of each website which you like and then go for the website design which works well for you. You need to go outside your niche as well like you can go to Ecigsopedia even if you don’t offer electronic cigarettes as you can take best ideas from anywhere. Best companies from different industries need to be look at and then you can get an idea what some of the best brands are doing. Personal taste of your own also matters a lot as design needs be the one which can give good feel from customer perspective. You need to have a look at the customer or best marketing tactics in order to attract visitors. Visitors don’t really visit those websites more often which are not very attractive at the first sight. You need to create a design which attracts visitors at the first sight. It is perfect if you try various industries and look at plenty of websites as this will allow you to collect plenty of attributes which can give perfection to your own website design. Make a website which has perfect design if you want to keep your business running and keep your e-users interested in your products. This entry was posted in Web Design on December 16, 2014 by Yasir Lodhi.